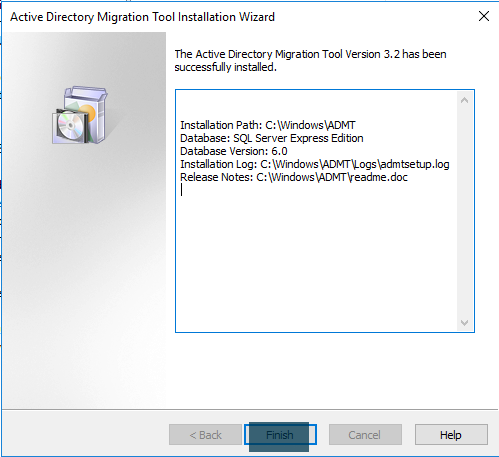 In this article, I have written about installing the Active Directory Migration Tool (ADMT) 3.2 on Windows Server 2016. 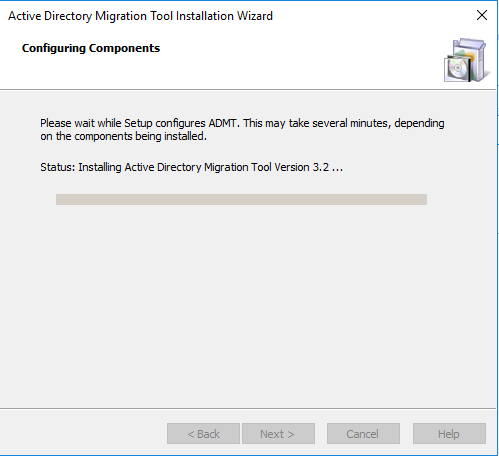 ADMT is used to migrate objects (users, workstations or member servers, groups etc) between two domains in the same forest (Intraforest) or different forests (Interforest). ADMT has certain prerequisites which you need to fulfill before you move with installation. Step 2. Read and review the recommendations. When you are done, click Next. Step 3. Read the license terms. Click ‘I agree’ radio button and then click Next. Step 4. 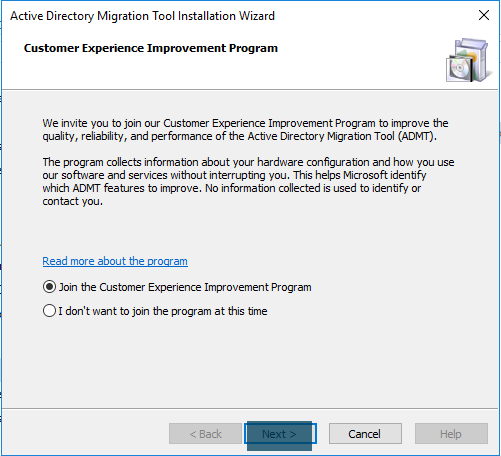 Click ‘Join the Customer Experience Improvement Program’ radio button if you would like to share your hardware configuration information for improving ADMT. Click Next. Step 5. 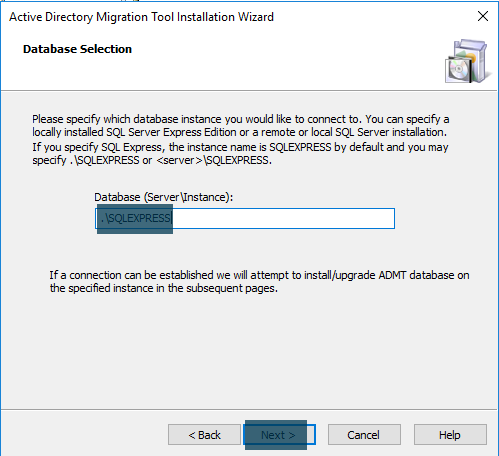 Provide the database instance in the format \. 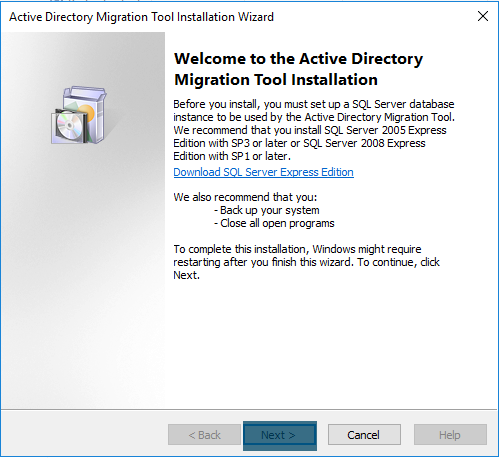 If you are using local database server, you can specify in the format .\. Click Next. Step 6. Wait for the wizard to complete. This may take several minutes. Step 7. Note down the installation and log paths. Click Finish. Your ADMT installation is complete. 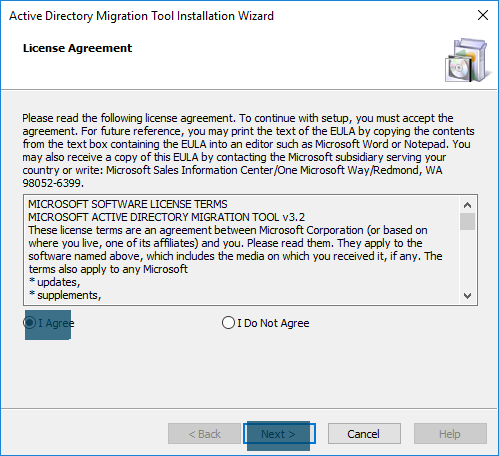 Click here to learn to use this tool and migrate users, groups, and computers between active directory domains in the same forest in Windows Server 2016.